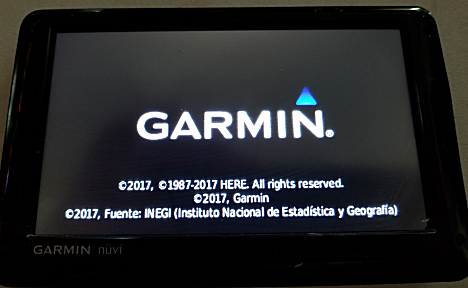 About noon I decided it was time to replace the bad battery in my Garmin Nuvi 1490 LMT. 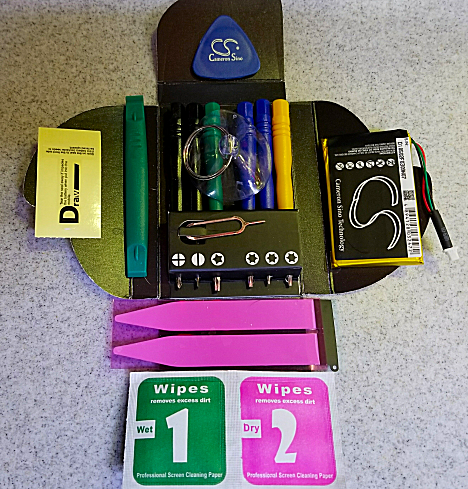 The new battery I ordered came with a toolkit that was really nice on its own. So, after checking out a couple of YouTube videos I dove in. First up, I used the green pry bar to remove the thin outer bezel. It took a little work to get it started but then it popped loose pretty quickly. 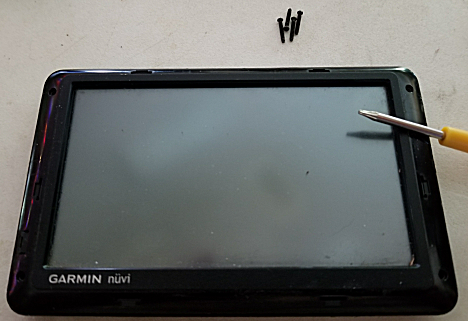 Next, using the small Torx driver I removed the 4 screws on that bezel and carefully pulled it loose. 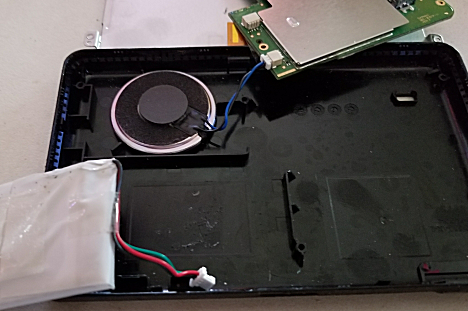 Then I gently lifted off the screen so I could get to the circuit board and battery hiding underneath. 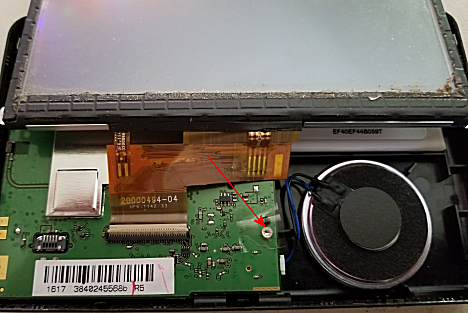 This let me remove these two screws, again using the same Torx driver. 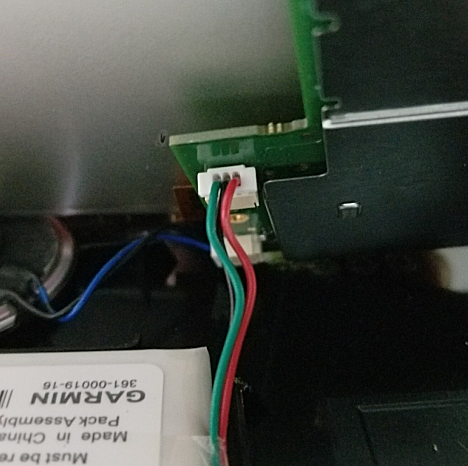 Then I was able to remove the small electrical plug that connected the battery to the system and then pry it out. 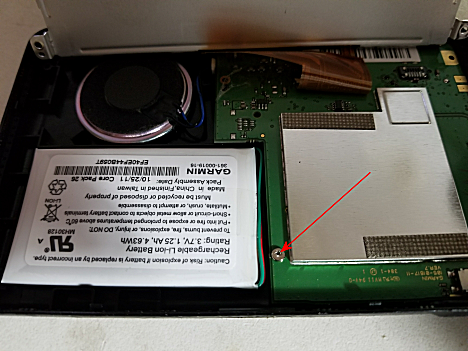 I used self-stick tape to fasten the new battery in place and started to put it all back together. 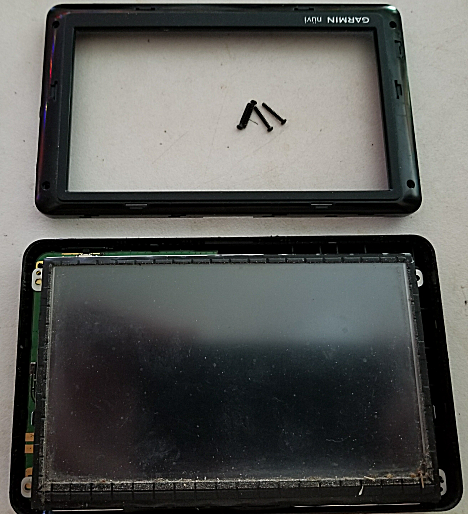 Reversing all my steps, I snapped the case back together. But before I reinstalled the 4 screws and put the outer bezel back on, I gave it the ultimate test. Hopefully this one will last another 7 years like the first one. 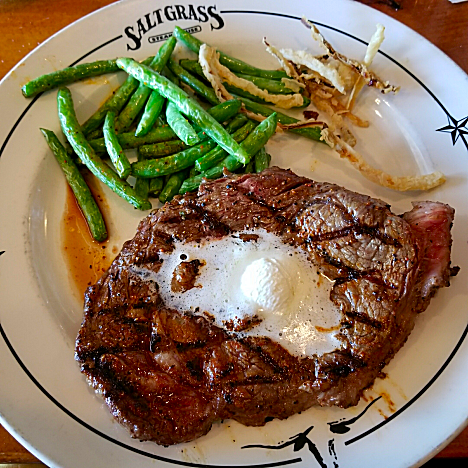 Jan and I headed out about 3:30 for my big awards steak dinner at the Saltgrass Steakhouse in Webster. Along with Longhorn, SG is one of our favorites. Always good. One of the reasons I go there is their great Wedge Salad. And this time Jan decided to give it a try too. 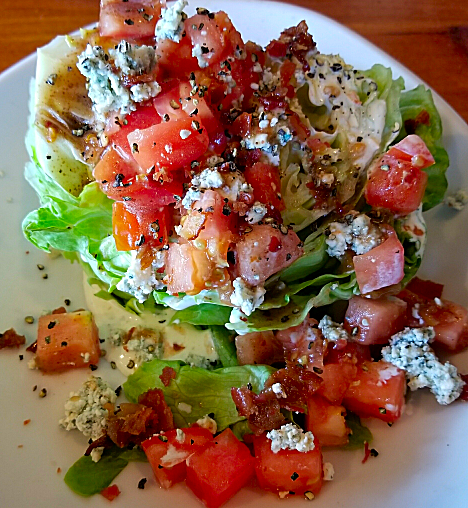 The Saltgrass version starts with a 1/4 head of lettuce drizzled with their homemade Bleu Cheese Dressing, and then covered with tomatoes, red onions, bacon, and feta cheese. Jan said it was probably the best salad she’s ever had. 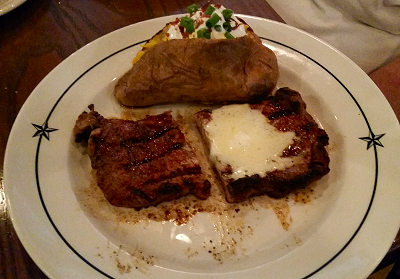 For our entrées, Jan had her usual Top Sirloin and Baked Potato. She always cuts her steaks in half the first thing to be sure it’s cooked like she wants it. Being a Ribeye guy, I got my usual with a side of Green Beans. Although the beans weren’t on the Sides menu, I noticed them shown on several of their seafood dishes, so I asked for them. And it was a good choice. Perfectly Al Dente and Seasoned. Finishing up, I came across a new Windows app that you might be interested in. Every time I use Windows built-in Snipping Tool, it seems like I really just want to print the ‘snip’. But I first have to save it to a jpg file and THEN I can print from a file viewer. But Greenshot, a free Windows download, takes care of that problem. You can save your snip to a file, print it, copy it to the clipboard, or even directly email it. A neat program. And it’s free. Teamwork is essential. It gives the boss someone else to fire.